Both artists’ themes embrace the natural wonders of living beside and walking on this unspoilt coastline. Brita Granström has appeared on television and radio and her works on canvas are in private and public collections around the world such as The Ruth Borchard Collection. 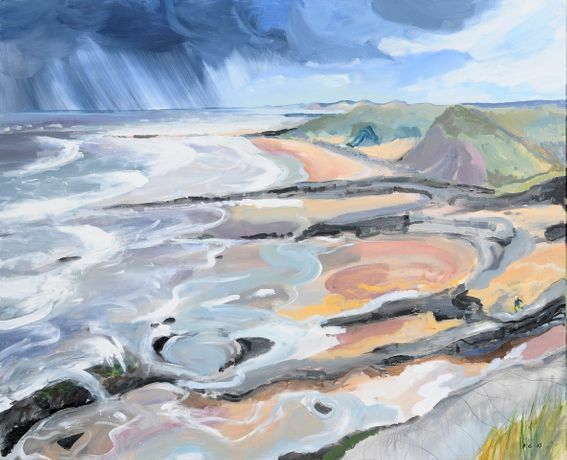 Her paintings capture the unique Northumbrian weather and light – but nevertheless also have a haunting quality that touch on something beyond the surface narrative. 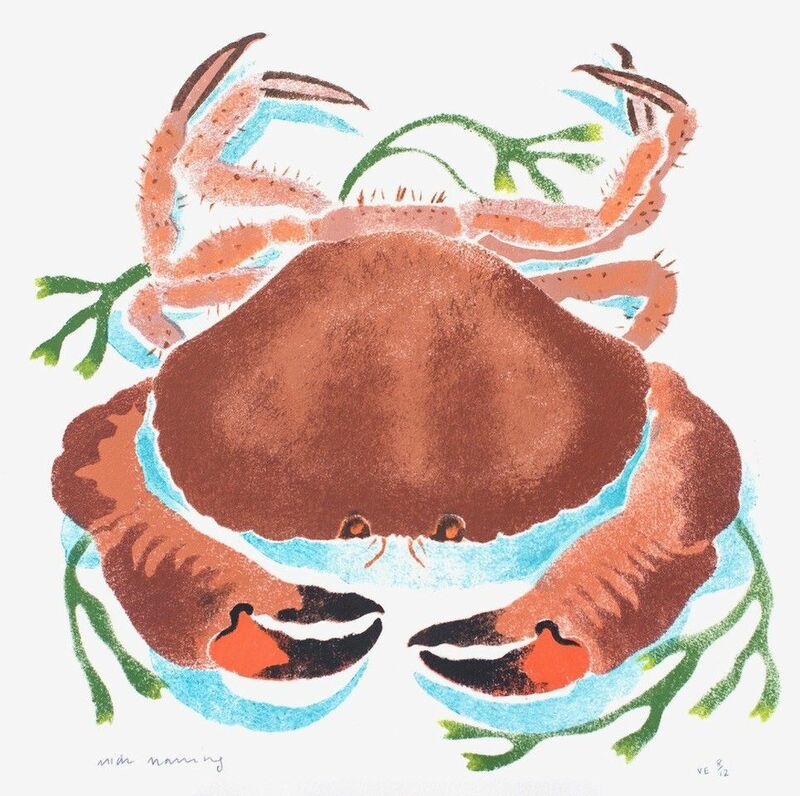 Originally from West Yorkshire, Mick Manning graduated from the Royal College of Art in 1987 where his teachers included Sheila Robinson, Quentin Blake and John Norris Wood. Between 1990 and 1998 he devised and ran the Illustration course at The Glasgow School of Art where his alumni include Mark Hearld. Mick works in mixed media and collage but is best known for his unique pochoir process – hand stippled paintings made using complex layers of stencils. His latest book Near The Bear, North, published by Design For Today in Spring 2019 is illustrated using this technique.